Just over a year ago, Yoga International broke the news that YogaGlo had filed a patent application for their method of filming yoga classes. YI (among others) had recently received legal letters claiming that some of our early video content fell under the vague description given in the application. Though YI removed the content, we were troubled by the broader implications of the patent request, and the precedent that it set for contemporary yoga culture as a whole. Unsurprisingly, the patent application didn’t exactly go over too well in the yoga community. Many, already weary of the increasing commercialization of yoga, decried the application as predatory, petty, or just plain ¨unyogic.¨ Yoga Alliance even created a petition (and collected over 14,000 signatures), urging YogaGlo to withdraw their patent request. Though many were irritated by YogaGlo’s audaciousness, the patent was so broad that most of us didn’t expect the patent to be approved. 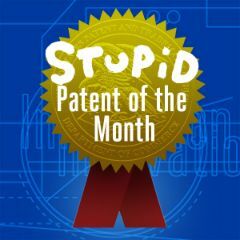 Needless to say, we were pretty shocked when on December 10th of last year, YogaGlo’s patent (U.S. Patent No. 8,605,152) was granted. Yoga International has been following this story closely, and in a surprising turn of events, just learned that YogaGlo has publicly forfeited the issued patent. This was announced quietly in a blog post written by YogaGlo CEO Derik Mills, posted on October 27th, 2014. YogaGlo disclaimed their interest in the patent just days before the Electronic Frontier Foundation (EFF—a nonprofit organization that defends civil liberties online), was set to name the YogaGlo patent their ¨Stupid Patent of the Month,” and although the patent itself is no more, the EFF decided to bestow YogaGlo Inc. with this ¨award¨ anyway, because they felt that this was a story worth telling, stating that ¨YogaGlo’s patent never should have been filed, and never should have issued. Even more importantly, hopeful patentees should not be incentivized to continue to push for patents despite clear evidence showing the claims are invalid.¨ They also note that YogaGlo has another patent with the patent office that it has not yet abandoned and has been trying to push through as recently as last month. Update: YogaGlo has stated that they will drop both patents. The EFF also commends the yoga community’s willingness to speak out and take action against the patent. And ultimately, it was your efforts that made the difference. Previously removed videos have been reposted! Now that YogaGlo has forfeited the patent, the videos that we were forced to remove have been re-added to our free online yoga class library. Enjoy!